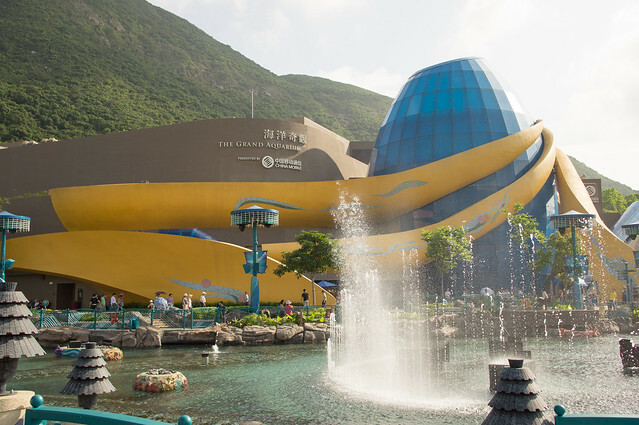 The Grand Aquarium is the flagship attraction in Aqua City – a new themed area in Ocean Park Hong Kong. 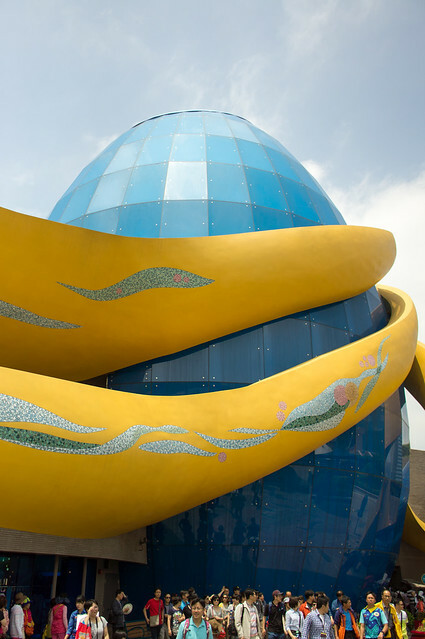 Nestled between the beautiful hills and newly created Lagoon, the Aquarium is adorned with an interesting “egg” facade – constructed with`glass panes and with gold waves (or fins) raveling around itself. 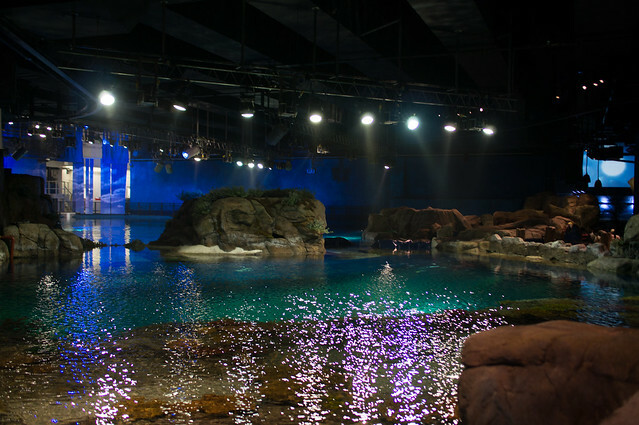 The Grand Aquarium brings guest through an experience from the “sea shore to sea floor”. 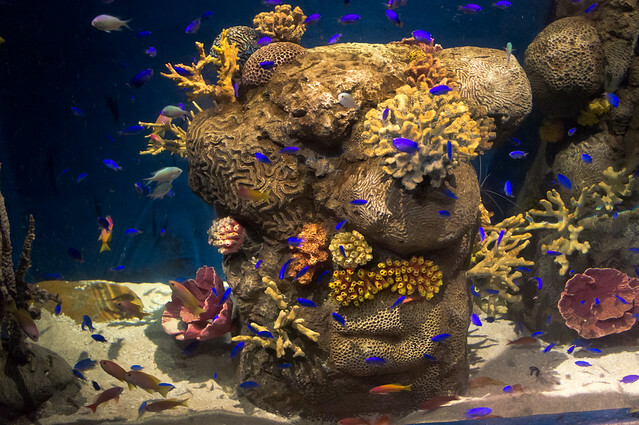 It actually spans several levels, with separate displays, as well as parts of the actual “Grand” Aquarium being seen at certain spots. 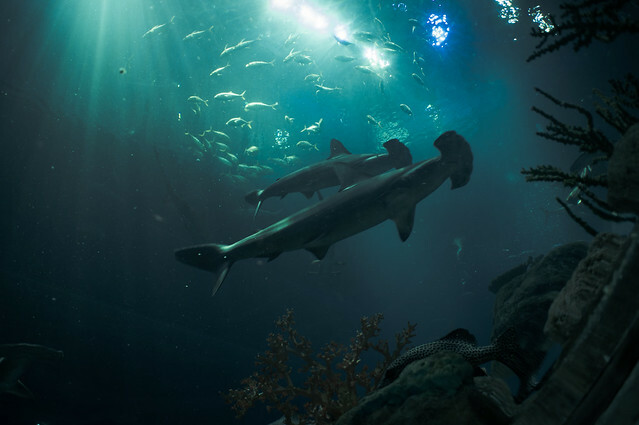 Here are some photos taken in this attraction. 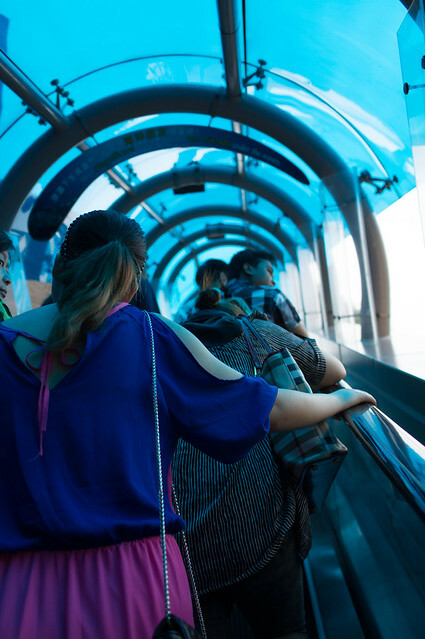 The queue at street level leads to an escalator, to bring guests up to the third floor where the experience begins. 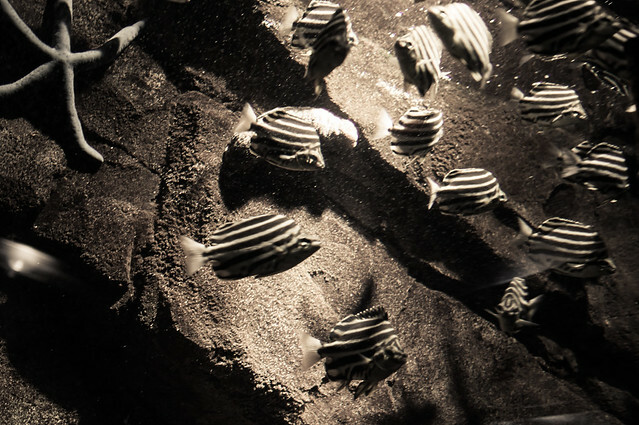 The first zone, also known as the “shore” zone. 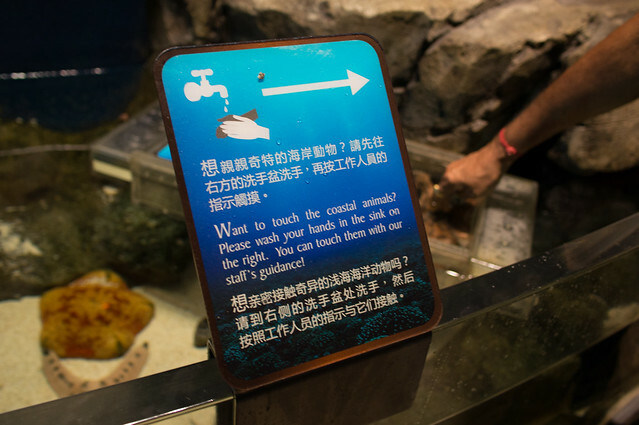 There’s an area for guests to touch starfish and sea cucumbers. 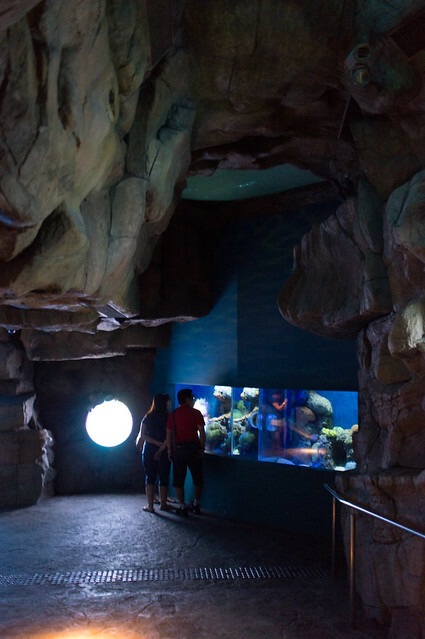 The shore area leads into the caverns, to showcase marine creatures living in the darker and deeper areas of the sea. 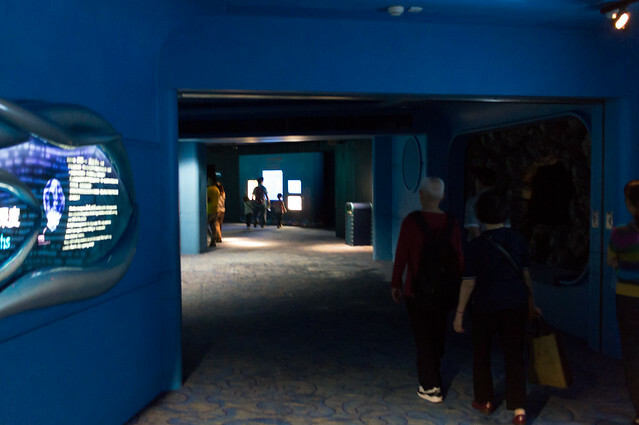 Towards the end is an area where delicate creatures, such as seahorses, are showcased. 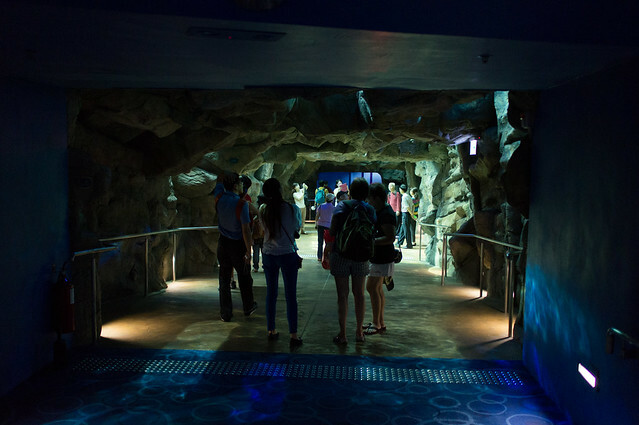 The Reef Tunnel is a large room with angled viewing panes, allowing guests lean over and enjoy a very open horizontal view of the reefs, above and below normal eye level. 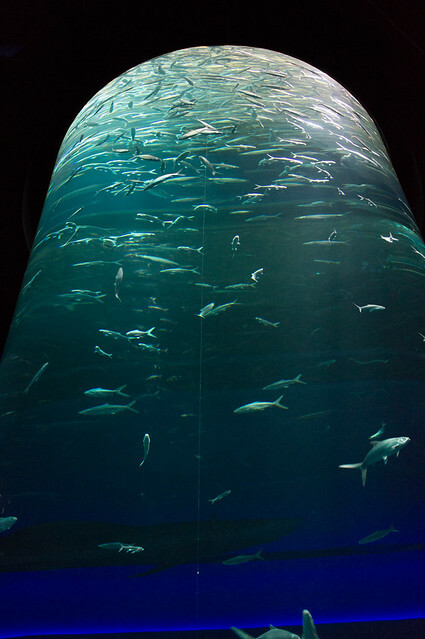 A spiral slope after the Reef Tunnel leads to the Swirl Tank, a tall tank filled with Milk Fish. 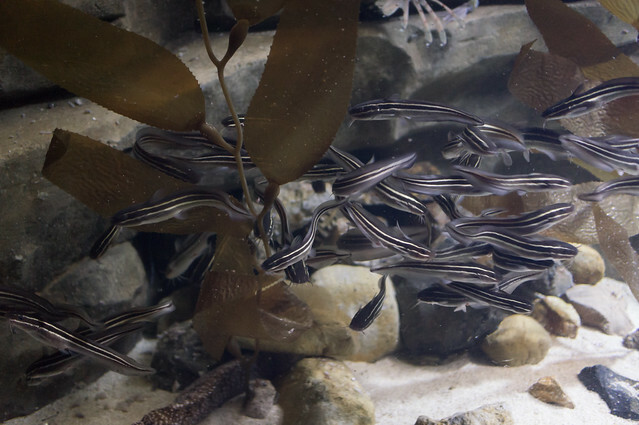 It’s a mesmerizing display of the fish swimming like a slow tornado. 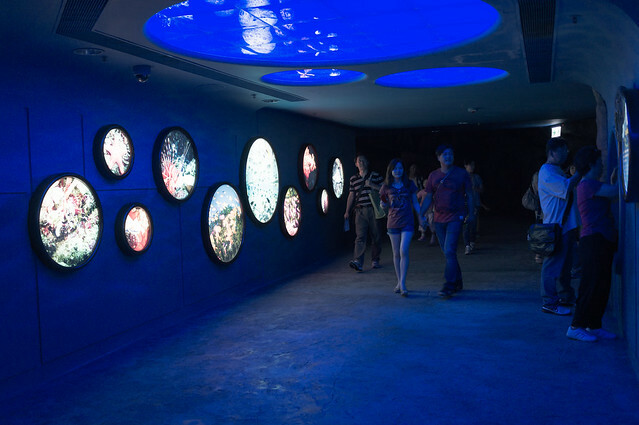 The journey continues through the Bubble Tunnel, where guests view the aquarium through “bubbles” above them. 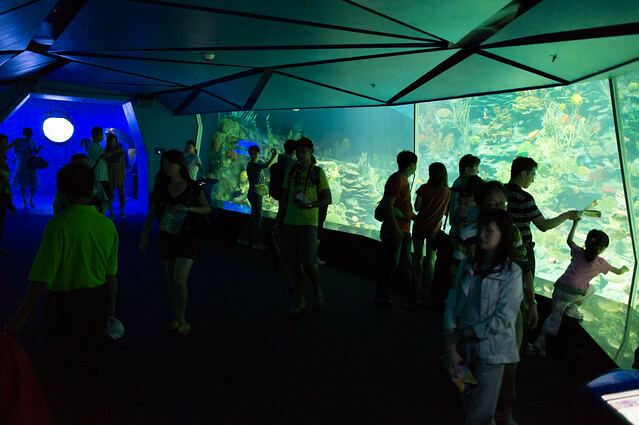 Near the middle is the Largest viewing dome. 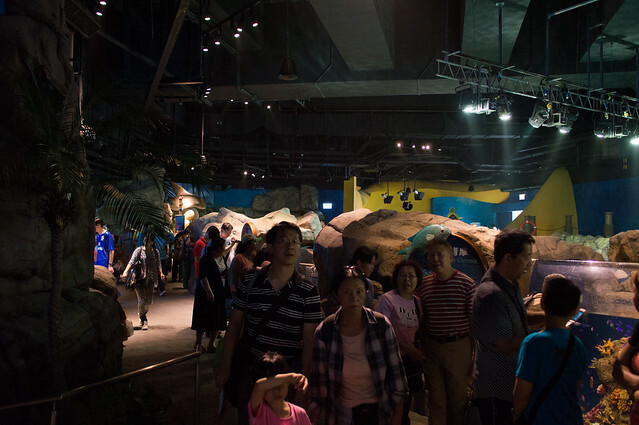 It measures 5.5 meters wide – the park claims this is the largest dome in the world. 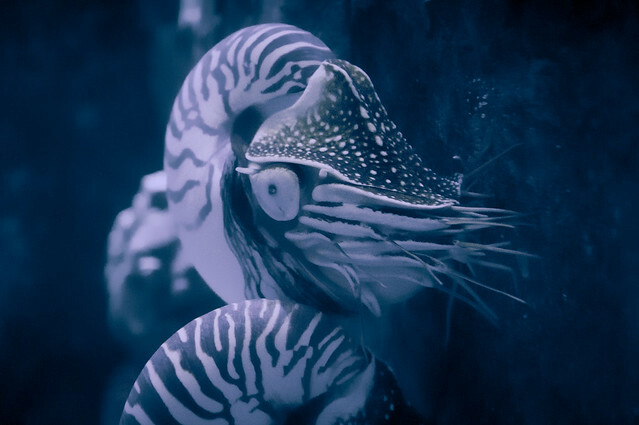 The Abyss zone displays more bizarre looking creatures as well as marine life at the deepest parts of the ocean. Surprisingly, this area wasn’t really themed to suit its name. 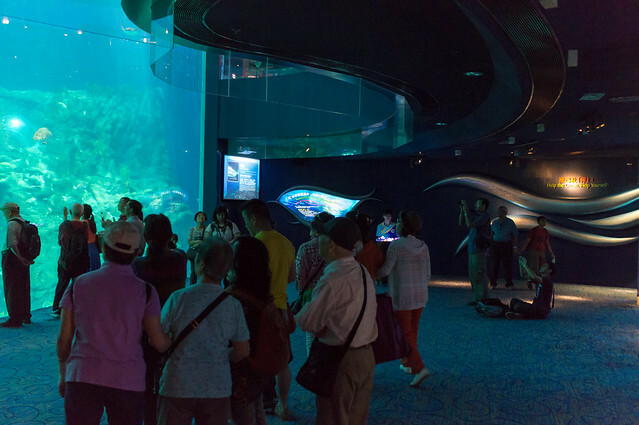 The finale of the Grand Aquarium is this 13-meter wide gallery. 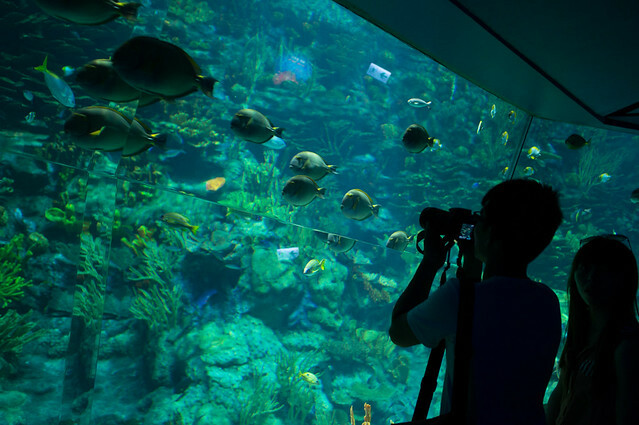 It’s a nice summary because throughout the attraction, guests were actually viewing parts of this massive, three-level aquarium. 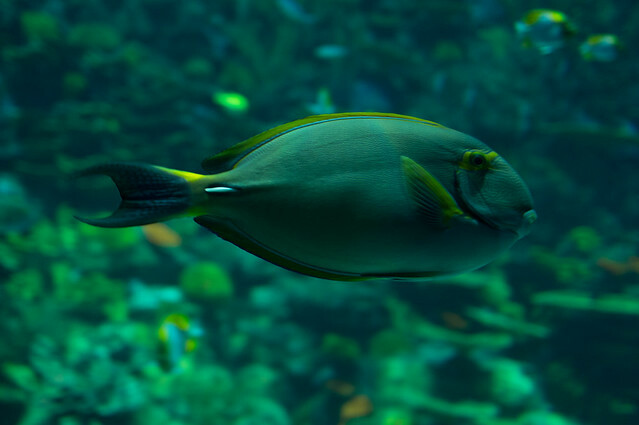 The best views are actually reserved for guests of the Neptune Restaurant at the second level – diners get to enjoy unobstructed views of the aquarium. 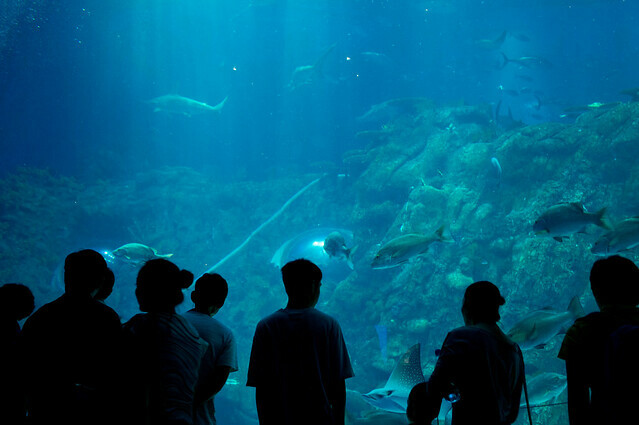 The Grand Aquarium is`definitely a must-see – it is called Ocean Park after all. 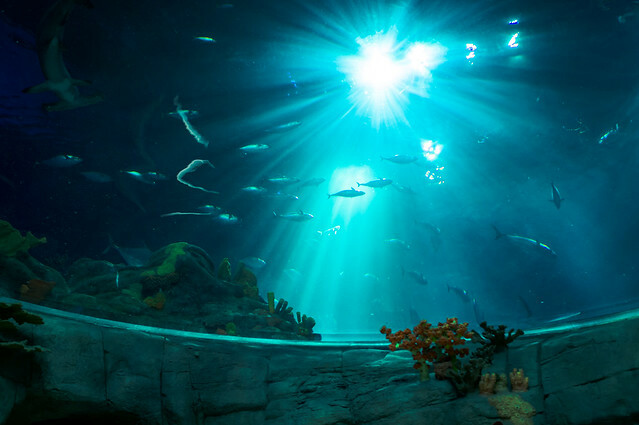 This is the most popular attraction – it is located very close to the main entrance to the park and it is fully air-conditioned, so be prepared for crowds. 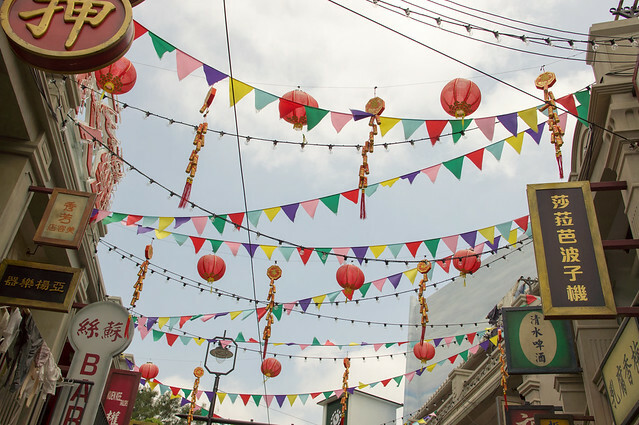 In the next update, we’ll take a look at the latest themed zone at Ocean Park: Old Hong Kong! This is amazing. 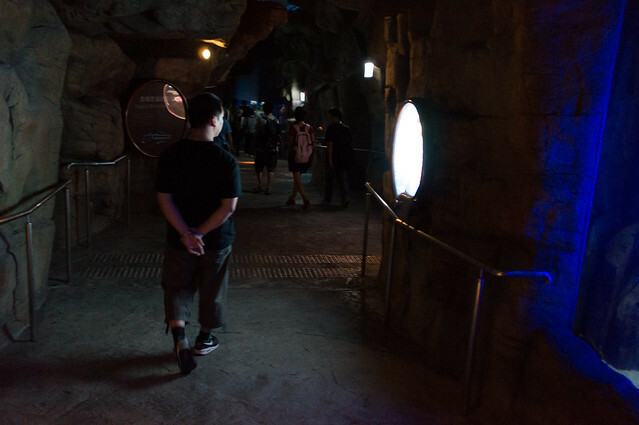 A 13 meter wide gallery would look really huge when you stand just right in front of it. 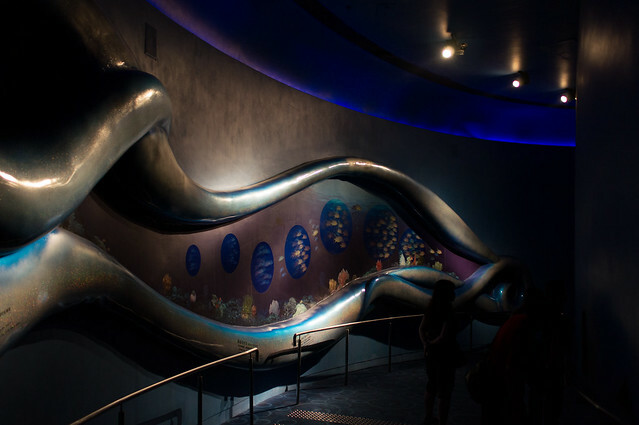 The Ocean Park in Hong Kong is probably one of the best in Asia. 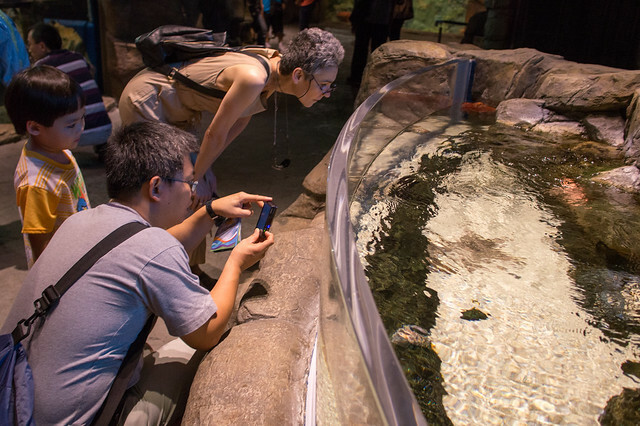 How much is the entrance fee for an adult and a child?